If you were hoping that Injustice: Gods Among Us would be receiving additional characters as DLC, then you’re in luck. 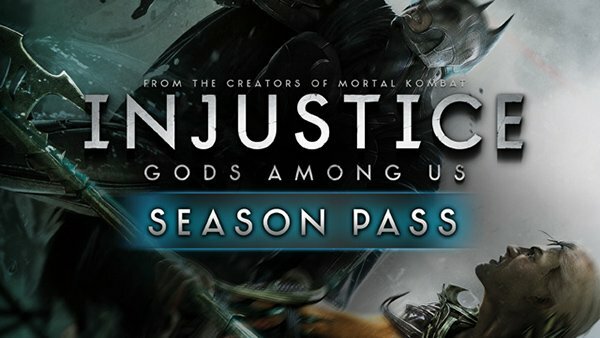 DC Entertainment and Warner Bros. Interactive announced today that an official Season Pass will be available for purchase when the game releases on April 16th for $14.99 on PlayStation Network and 1200 Microsoft Points on Xbox Live. Purchasing the Season Pass will grant players access to four additional fighters for the price of three. No further information has been released on which fighters players can expect from the DLC, so putting faith in NetherRealm delivering characters that fans want is a must. Of course, with the announcement of the DLC this early from launch it seems that the Injustice team has already picked the additional fighters that fans will receive. Personally, I’d love to see Hush. A guy can dream you know? In addition, players will gain access to the bonus Flashpoint Skin Pack that provides alternate costumes for Wonder Woman, Aquaman, and Deathstroke. It seems that alternate costumes for Injustice are emerging from the pages of some of the most famous comic book story arcs, and it is a definite plus for the comic geek in us all. The only hidden factor of NetherRealm’s DLC support for Injustice is uncovering how many day one costumes will be available for purchase. My guess? I would say at least one alternate costume for each fighter, but only time will tell. What do you make of Warner Bros. announcing future DLC characters so early from launch? Is your mind endlessly cycling who the characters could be, or does it grind your gears that they have announced future content and the game is just under a month away? Be sure to drop your thoughts on the Injustice: Gods Among Us Season Pass in the comments below!